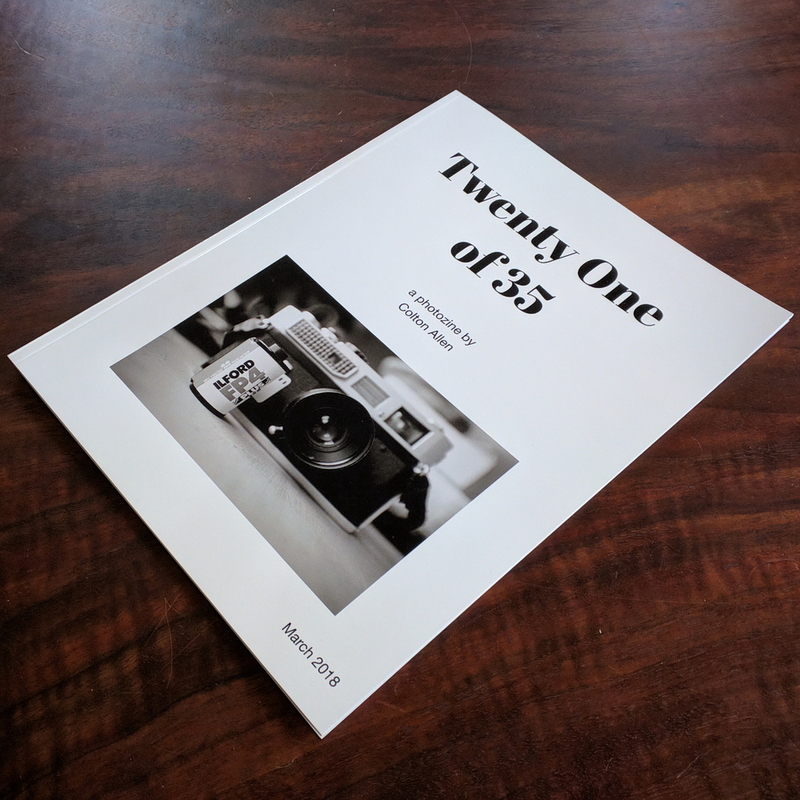 Twenty One of 35 – A Photozine! I recently put together a photozine featuring some of my black and white film photography . The title is Twenty One of 35. The images all come from a single roll of Ilford FP4 Plus that I recently shot using a Canon 7, and was developed by my good friend Gerry. I exposed a total of 35 frames, and after scanning, I selected 21 images for the zine. It’s an 8.5×11 magazine with twenty one 5″x7.5″ photos, beautifully printed on matte paper. I just received the first copy, and I think it looks fantastic, so I made it available for purchase.